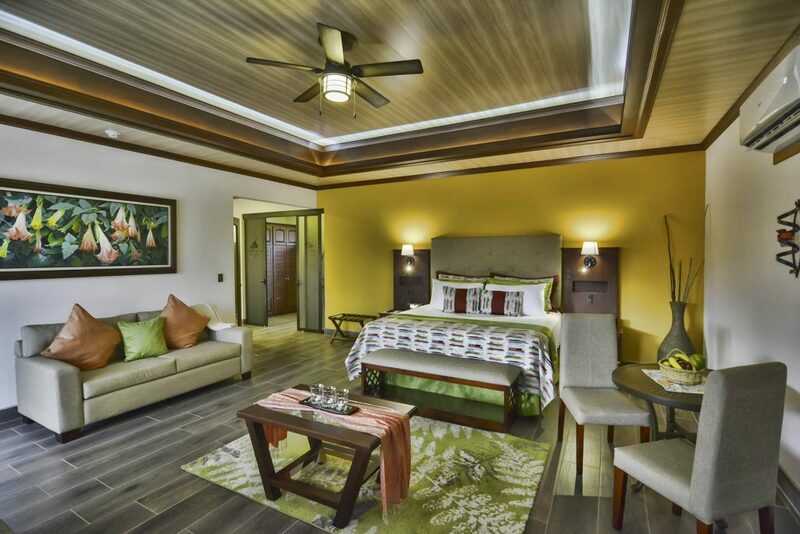 We offer 7 spacious master suites with breath-taking views and luxurious décor. 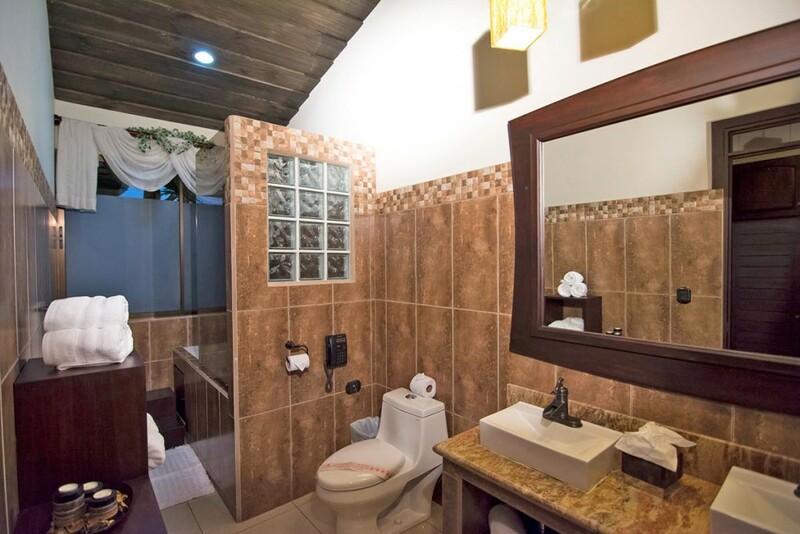 With over 1740 sq. 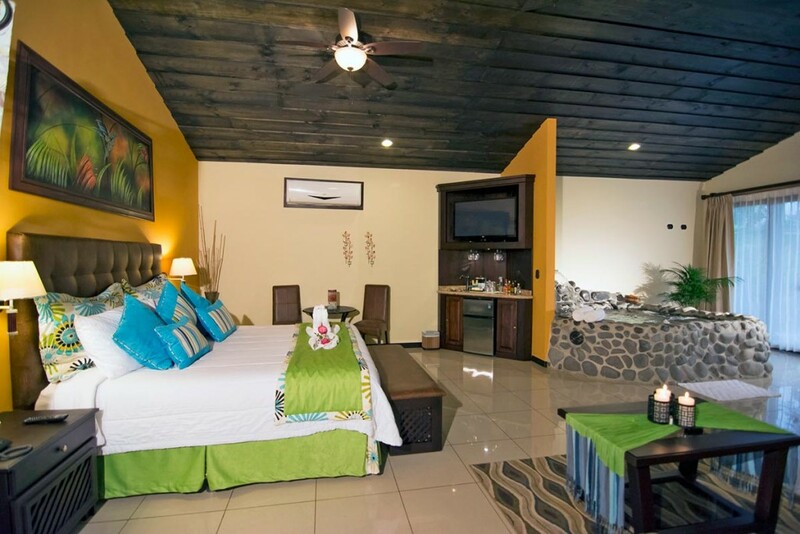 ft. you will have plenty of space to relax and enjoy each other and the surroundings. 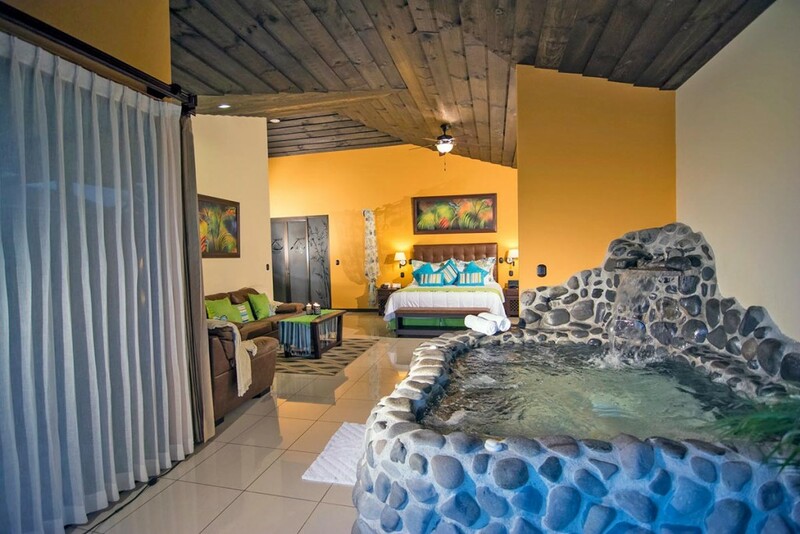 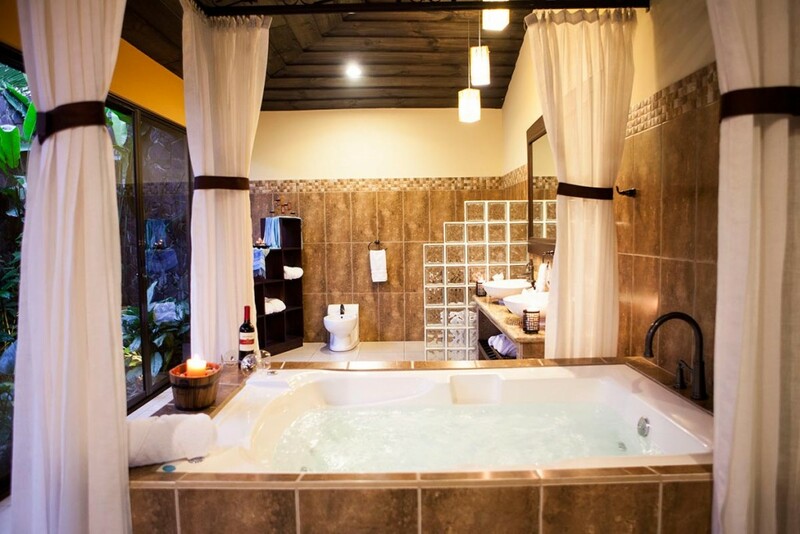 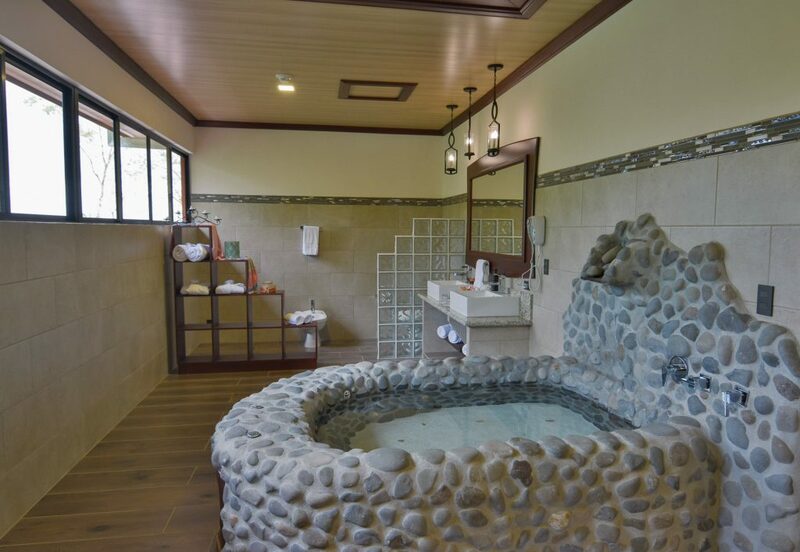 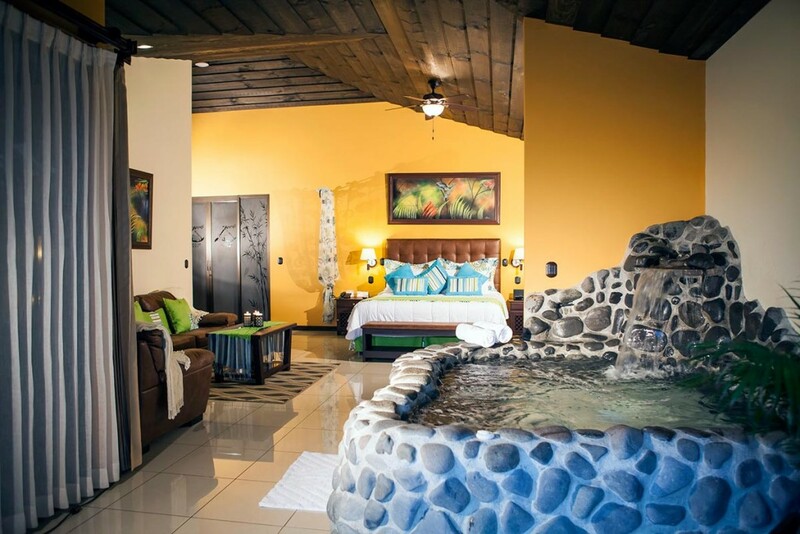 Large thermal water jacuzzi in room. 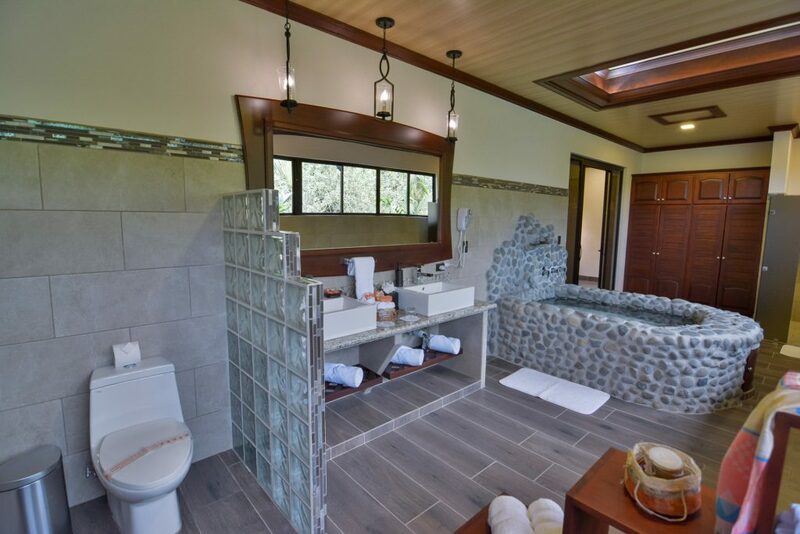 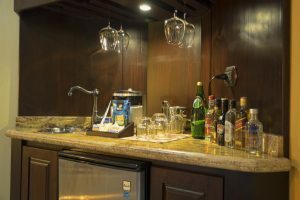 One or two bedroom suites are available depending in your needs, as well as a living area, walk-in closet, and an incredible spa-like bathroom with a jacuzzi tub, a rainfall shower, and an indoor garden. 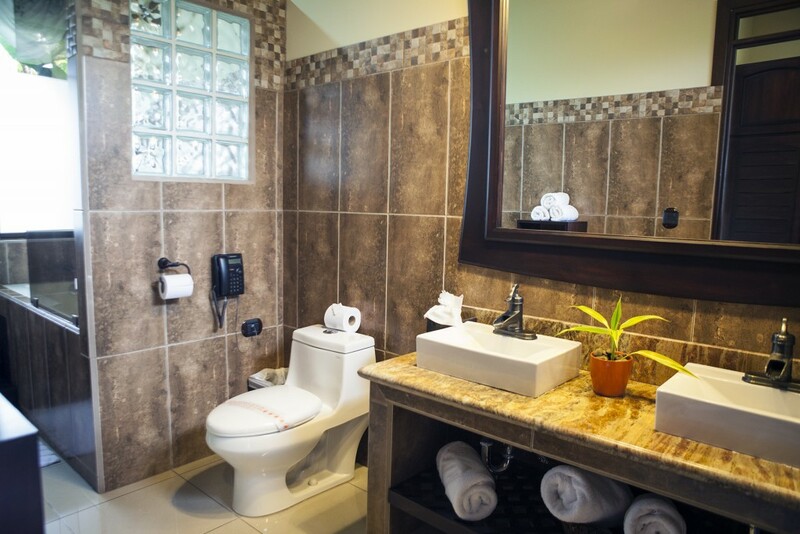 The exquisite toiletries are made in our own certified onsite lab and include hand soap, Red Apple shampoo, Aloe Vera conditioner, and Honey Vanilla hand cream. 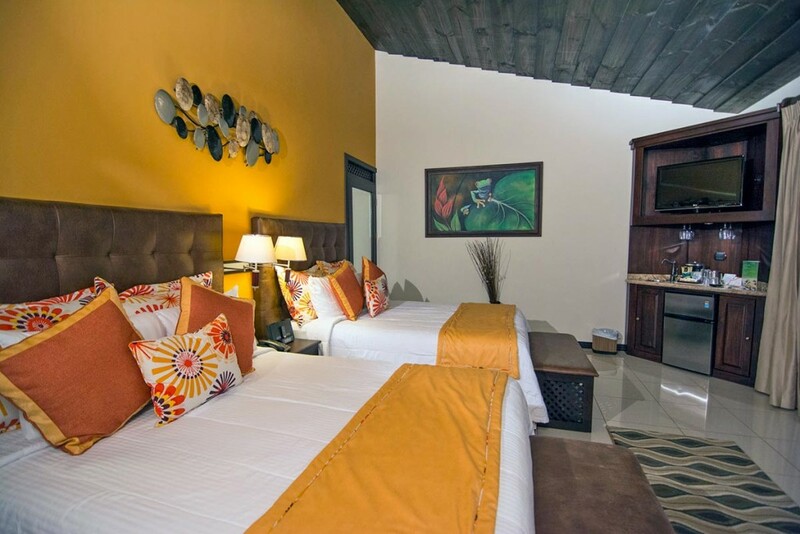 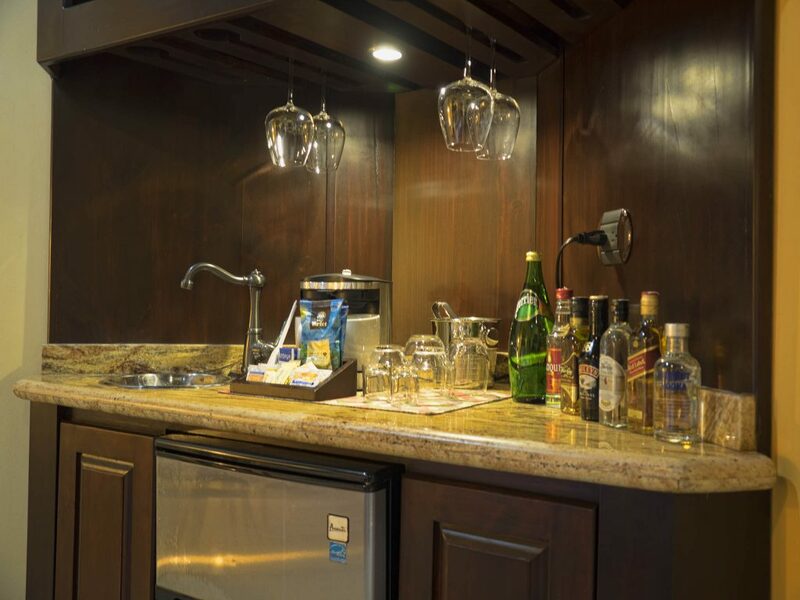 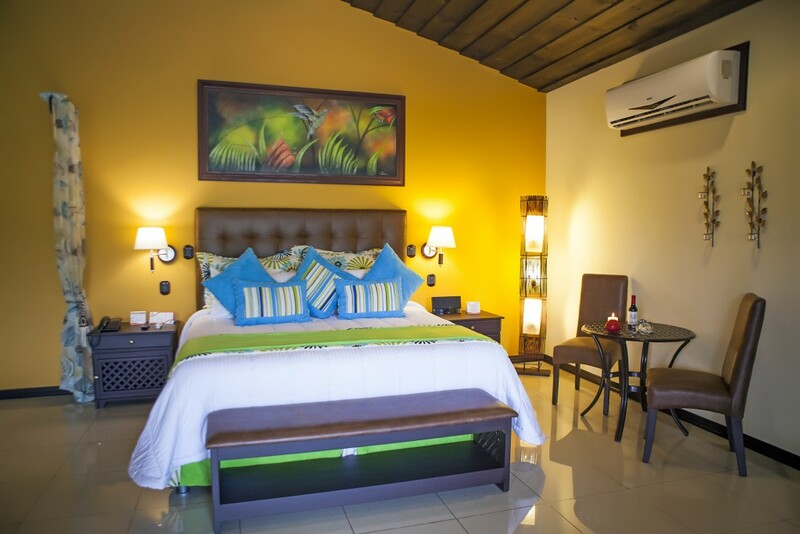 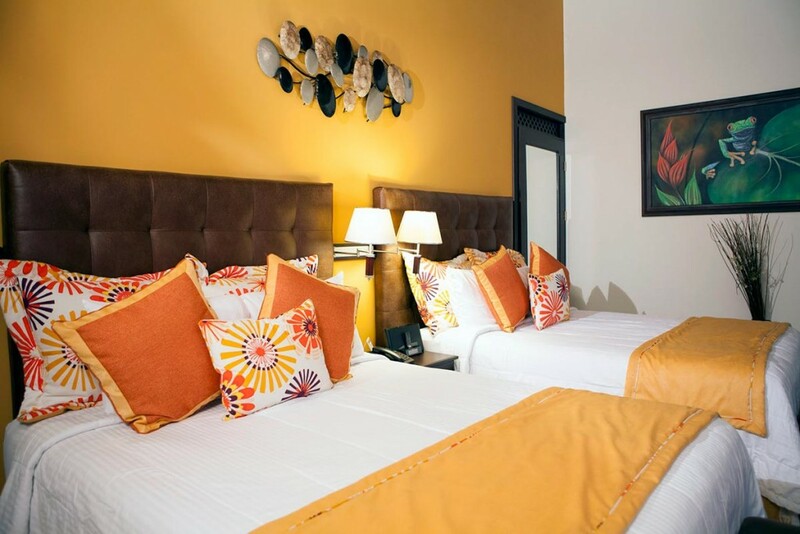 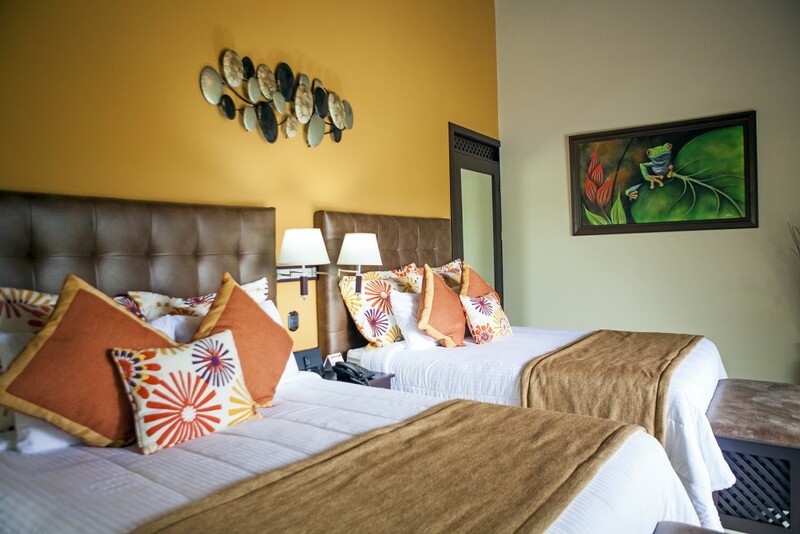 In the room you will find everything you could dream of to make your stay unforgettable, from top-quality pillow-top mattresses and lush bedding, to bright local artwork, granite counter-tops, a large screen TV, and a fully stocked minibar, courtesy of our management team. 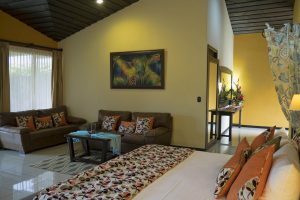 The large picture windows and elegant glass doors open up to private terrace with wrought iron and granite furniture, in addition to a comfortable hammock. 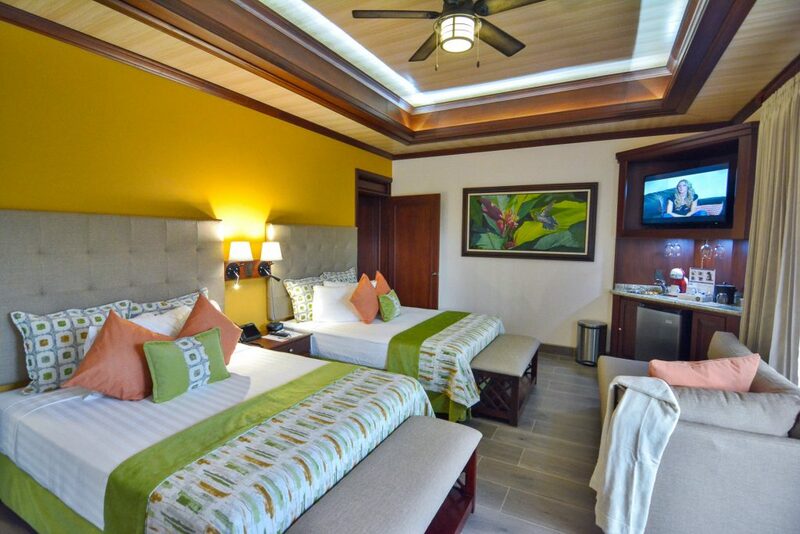 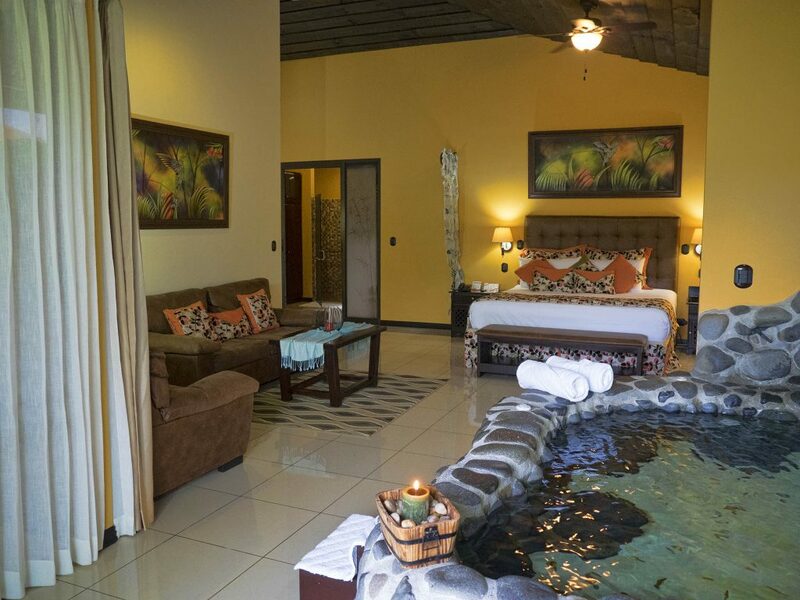 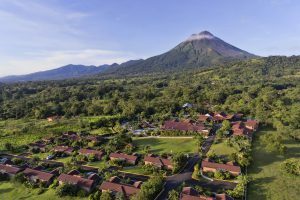 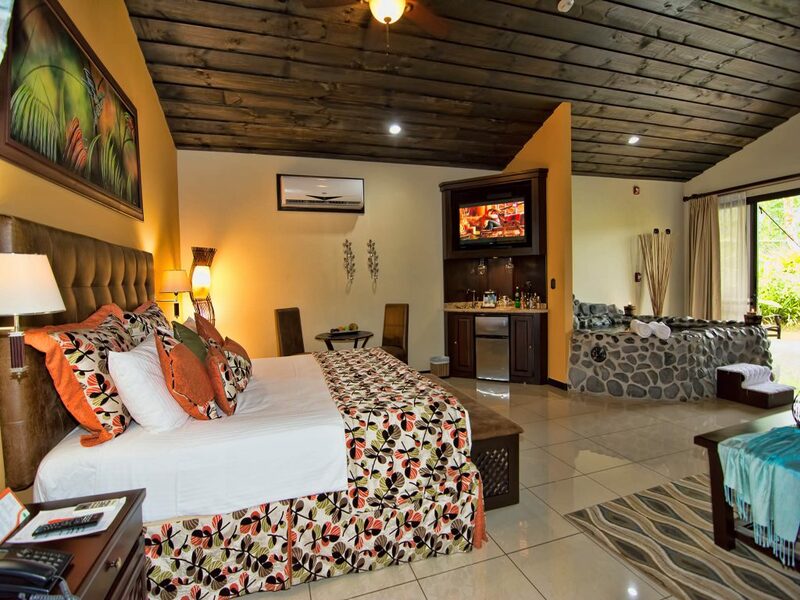 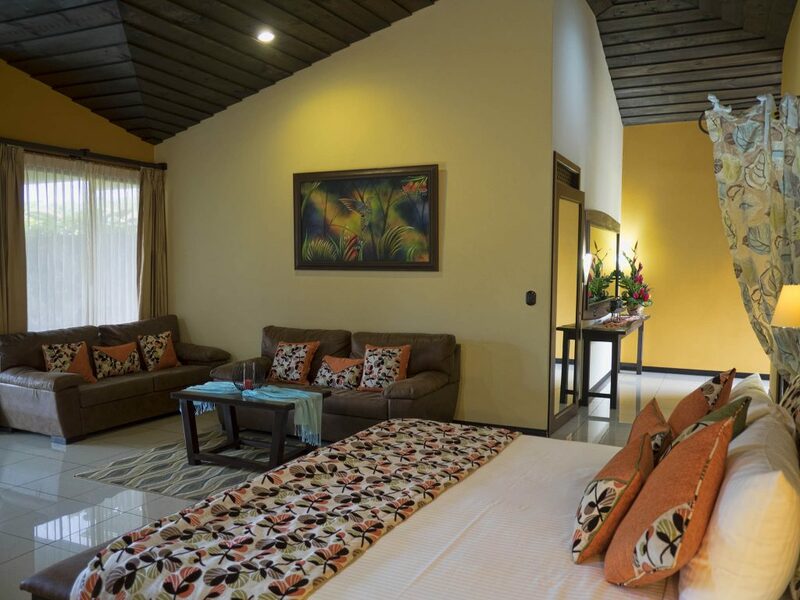 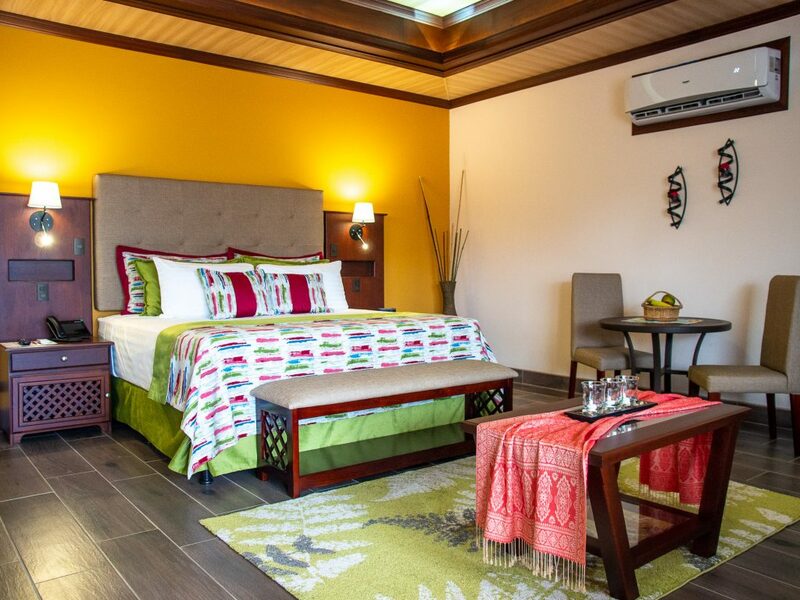 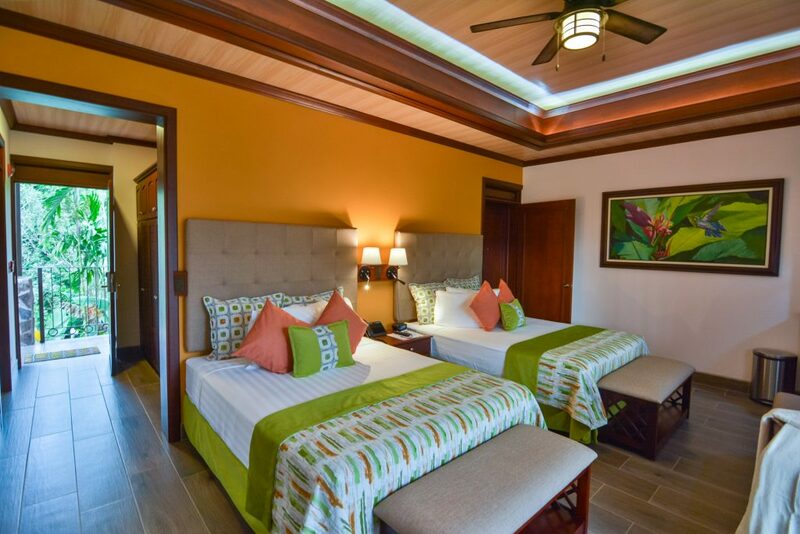 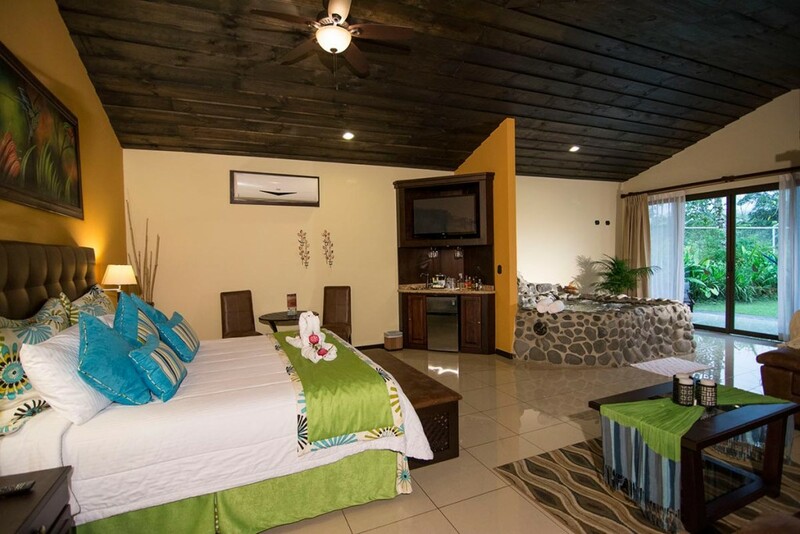 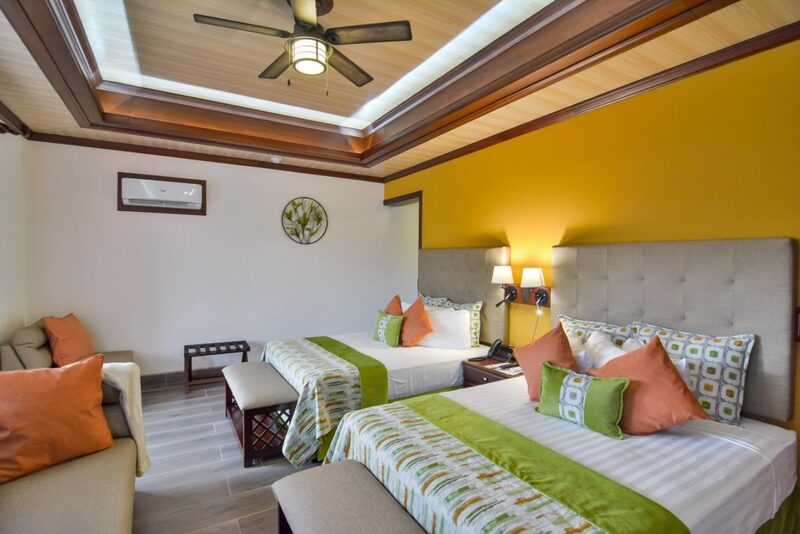 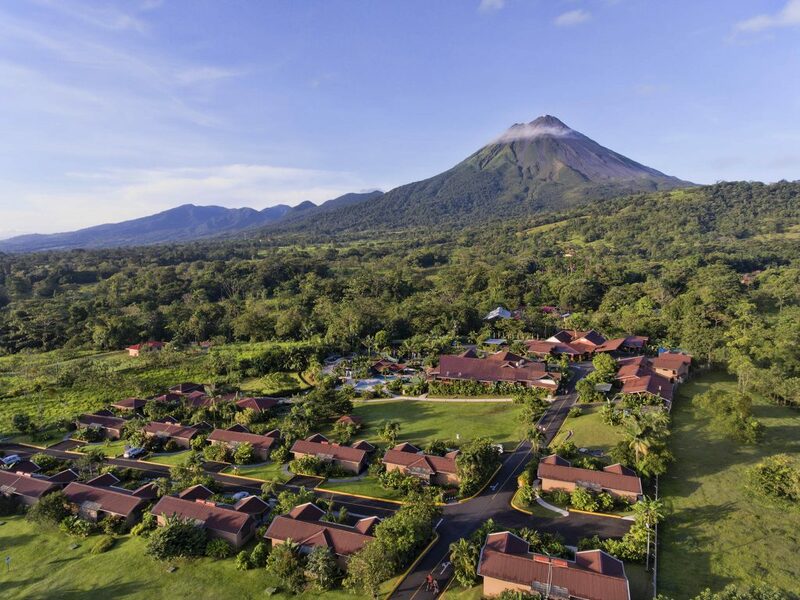 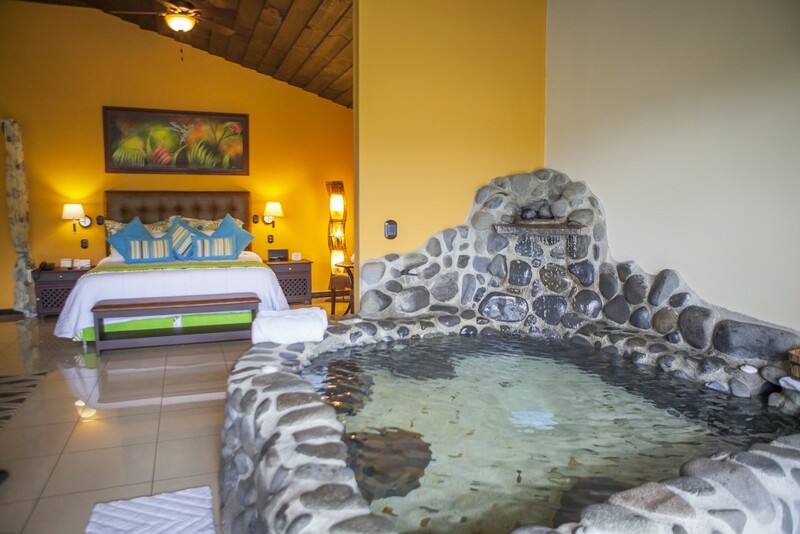 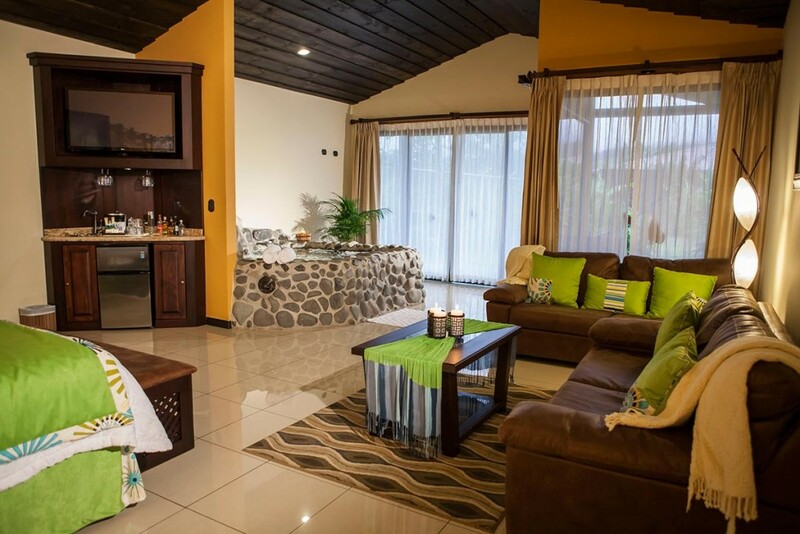 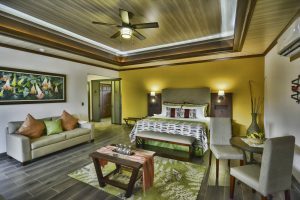 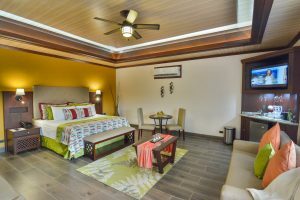 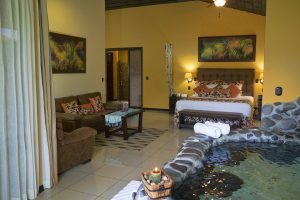 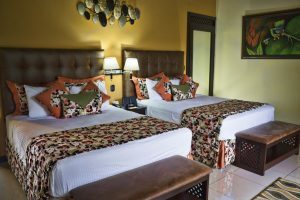 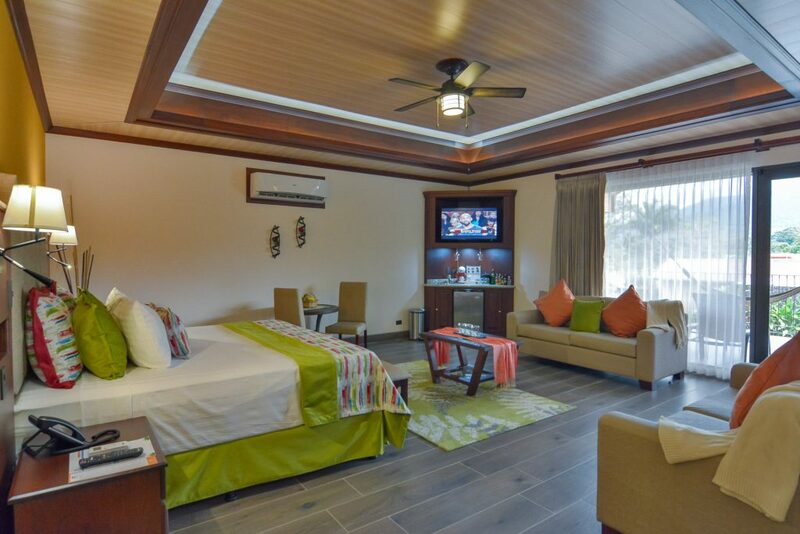 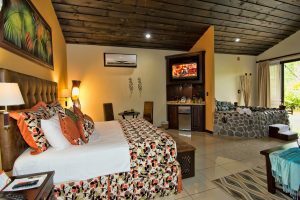 Each room has been designed to provide incredible direct views of the majestic Arenal Volcano, and each terrace is surrounded by tropical gardens where countless birds and butterflies play. 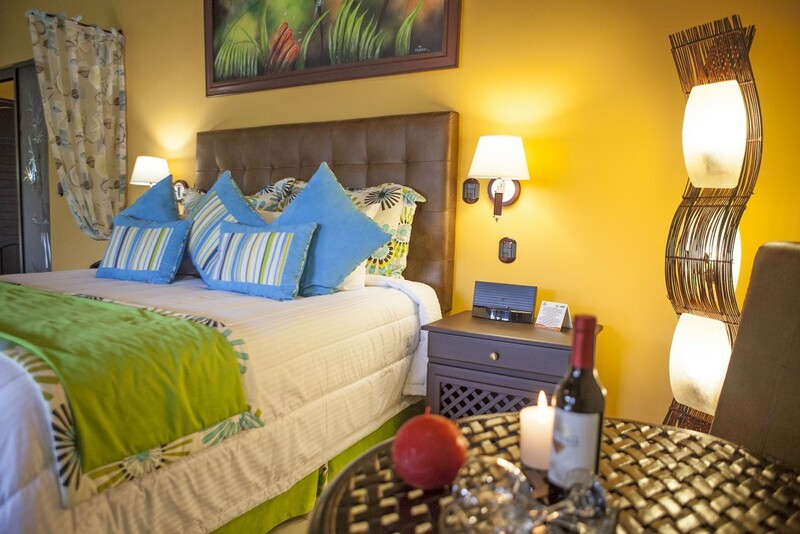 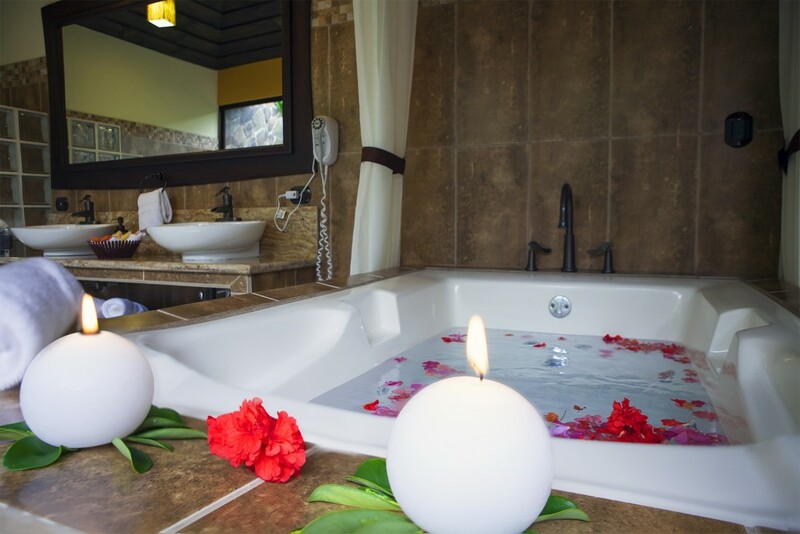 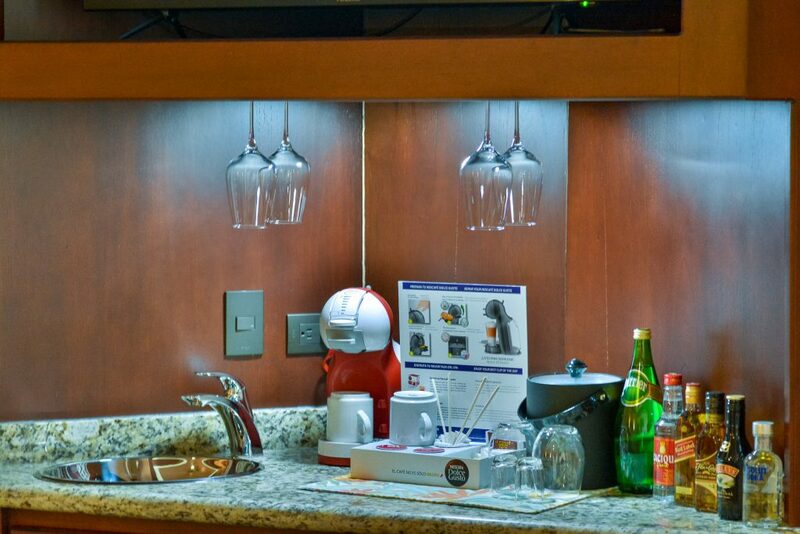 As guests of our Master Suites, you also have access to all of the most exclusive services and features of the hotel. 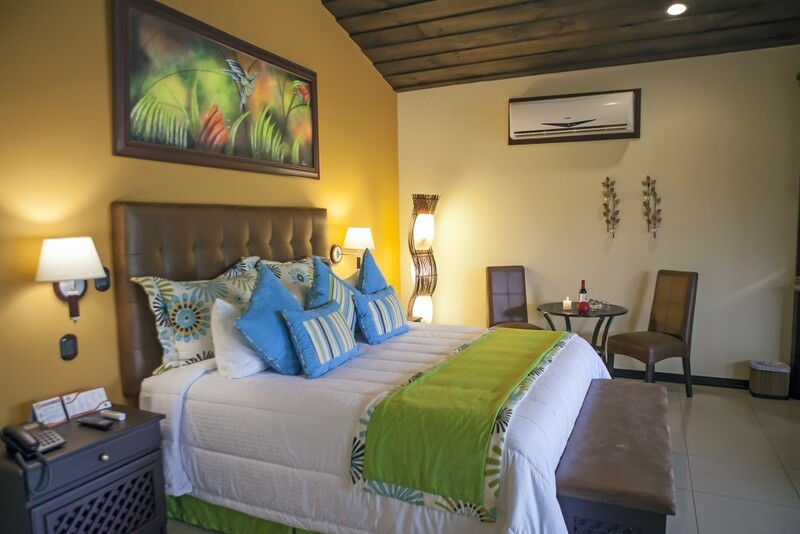 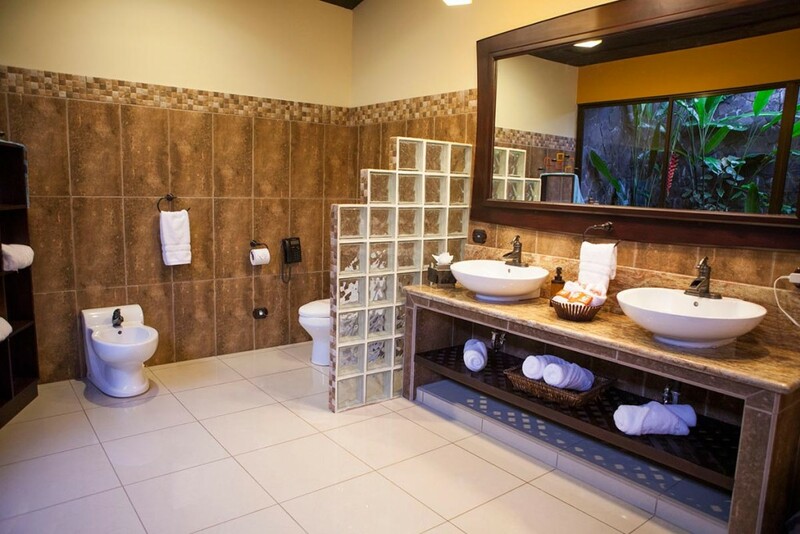 Our Master Suites can accommodate 4-10 people. 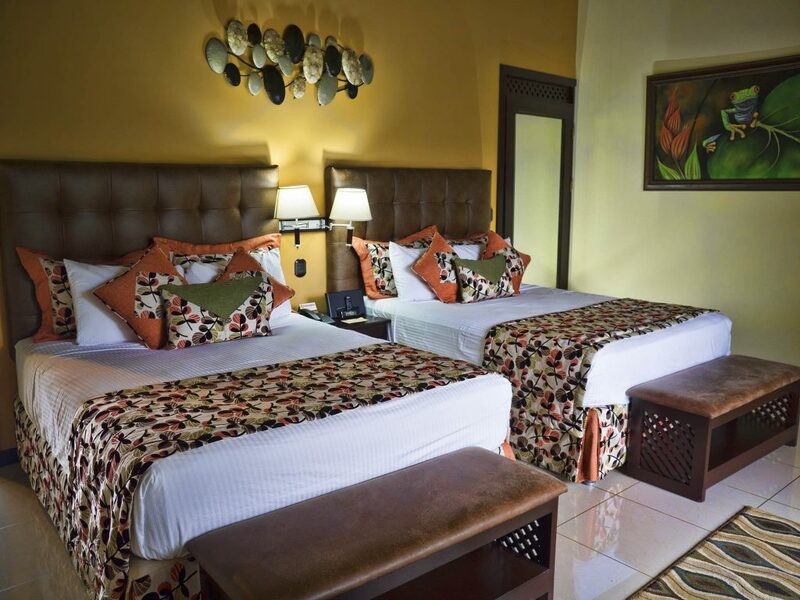 Our hotel is supplied from an external electric service by a recognized company, which also supplies electricity to the whole area. 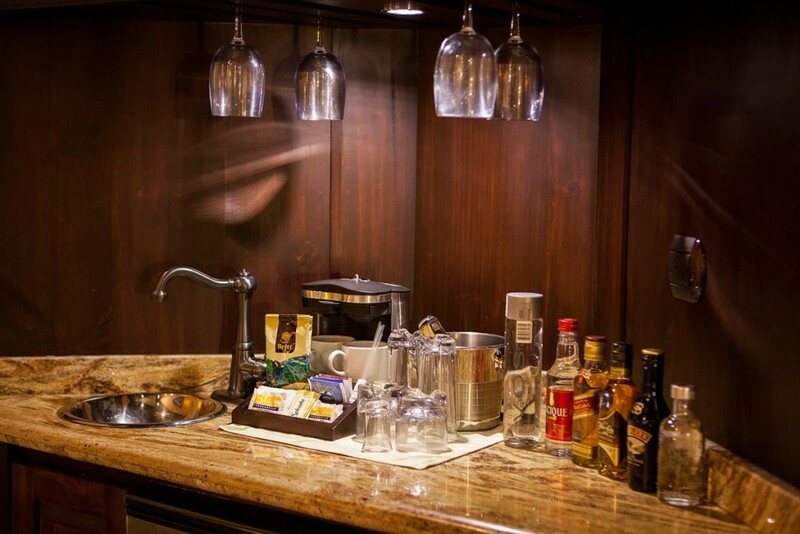 Nevertheless, if this one faults, we have in our property power generators to cover the operation of the hotel. 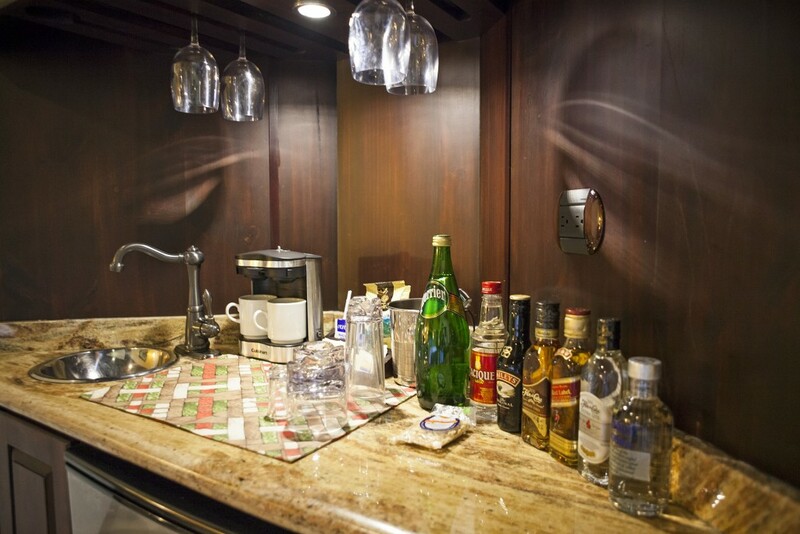 However these generators can cause a slightly noise-sound in some areas of the facilities.